I had not a clue what he said and just stood there, dumbfounded. As Louisiana is a favored destination for many non-resident fishermen, I thought I might save some of these out-of-state “pêcheurs” from the same embarassment by sharing a few Cajun words and phrases likely to be heard on a Bayou State fishing trip. If you spend some time studying them, maybe you’ll be able to interpret what is being said. Maybe. 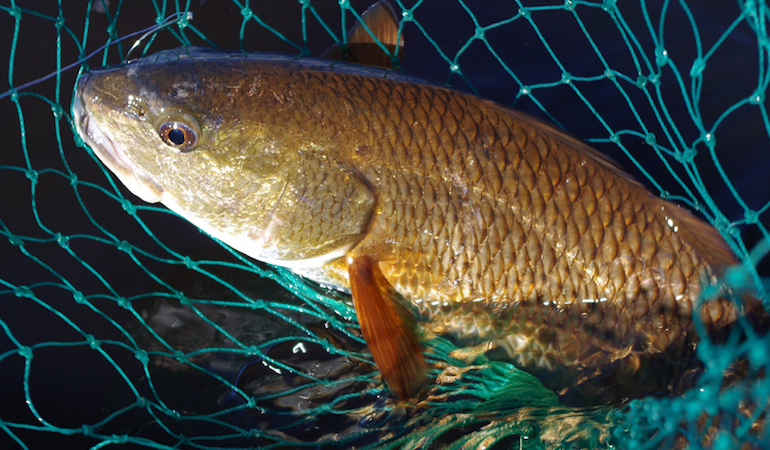 poisson rouge (pwah-SON rooge): redfish. “Jill caught her biggest poisson rouge ever last weekend—a 40-pounder."